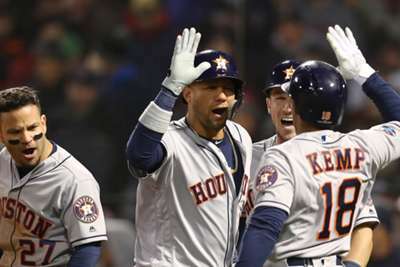 The Houston Astros are up 1-0 in the American League Championship Series (ALCS) after a 7-2 win over the Boston Red Sox in game one on Saturday. Houston send out Gerrit Cole to pitch game two on Sunday while the Red Sox counter with David Price. Joe Kelly became a cult hero earlier this season when he plunked then-New York Yankees first baseman Tyler Austin during a game, sparking a brawl on the field between baseball's two most bitter rivals. After Kelly got Alex Bregman with a fastball in game one, the Astros third baseman was not happy. Then, when he scored on a Carlos Correa RBI single, he was livid. Bregman was seen staring down Kelly after he crossed the plate and the Red Sox reliever did not back down. There are at least three games left in this series. This could get interesting. In the 2017 ALCS against the Yankees, Astros starting pitcher McCullers was used in relief in game seven and made waves by ending the game with 24 straight curveballs. McCullers was called upon in the eighth inning and once again did not throw a single fastball. But McCullers did not throw all curveballs, as he dropped in a few changeups, but about 95 per cent of the pitches he threw were of the hammer variety and the Red Sox did not prove they could hit it. Eduardo Nunez is in Boston's lineup because of his defense. 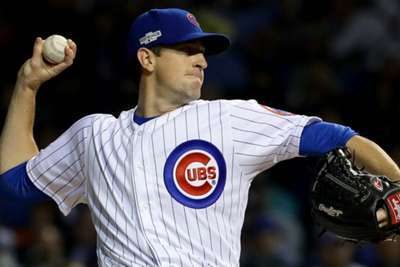 However, his glove betrayed him more than once on Saturday, as Nunez let a field-able ball go under his glove on a two-run single by George Springer in the second inning. He would later add an error as well. Nunez could see himself benched for Rafael Devers soon if his defense does not get better. Devers may have gotten the start in game two anyway, because Cole was getting the start, but he did not get the call against a righty in Justin Verlander in game one.